Motorcycles have been around for generations, and many people enjoy taking the two-wheelers out for a spin. They enjoy the wind whipping through their hair and the feeling of freedom that comes along with the bike. There are plenty of motorcycles in every state, including Florida. In fact, research by World Atlas showed that the Sun Shine state came in at number two with 545 thousand registered cycles in 2013 alone. It was second to only California, which had a staggering 800 thousand listed bikes. Some people won't even sit down on the units. However, others can't get enough of the fast and powerful vehicles. Plus, the weather in Florida is usually always perfect for hitting the open road on a two-wheeler or trike. So, regardless of what time of year it is, motorists on the streets have to beware of the motorcycles. Of course, not everything is on car drivers though. The cyclists must also be mindful of their surroundings and watch what they are doing. When we discuss motorcycle safety, we are talking about not only the operator skill and training but also aspects of the vehicle and equipment design as well. In 2013 alone, two-wheeled motorcycles accounted for approximately 93 percent of all motorcycles involved in fatal crashes. Also, according to the National Highway Traffic Safety Association, motorcyclists also accounted for 14 percent of traffic fatalities. 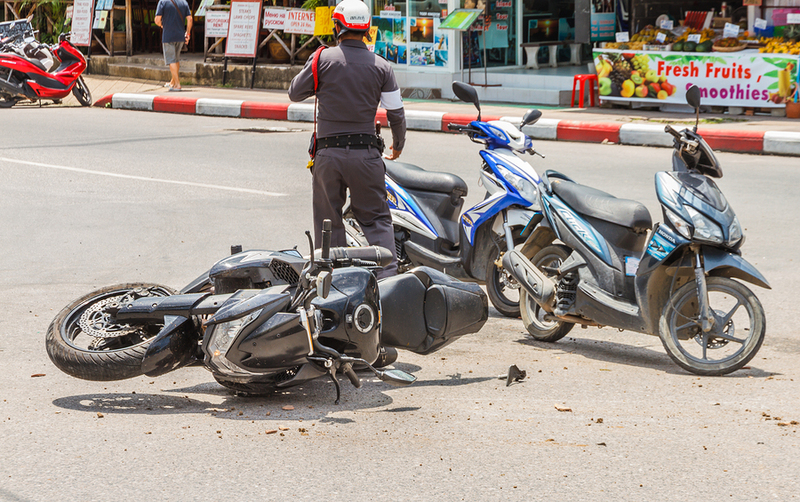 One of the most common causes of motorcycle accidents is actually when cars are making left-hand turns. It has nothing to do with the motorcyclist themselves. 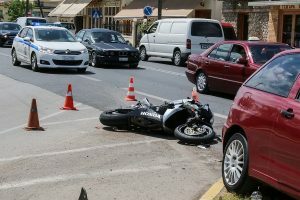 The car making the turn is usually responsible for these kinds of accidents simply because they are not paying attention when the motorcycle is driving through the intersection. Most of the vehicles on the roadway are trucks, cars, and vans. 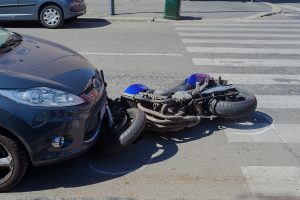 Many drivers of these vehicles have a hard time when it comes to seeing motorcycles, and they often don’t yield the right of way to the motorcyclist as they should. 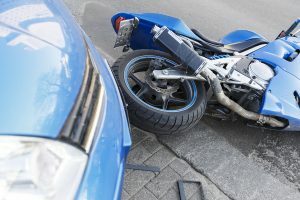 Every day seems to bring news of another dangerous collision or serious accident involving a motorcycle on Florida’s roads. On August 18, a motorcycle and a semi-truck got in an accident on the Florida Turnpike, and you can guess which driver made it out okay and which one didn’t make it out at all. After all, car and truck drivers get the safety of sitting in a giant cage engineered to keep them alive, while all motorcyclists get is a pair of wheels, a set of safety lights, and a (frequently optional) helmet. 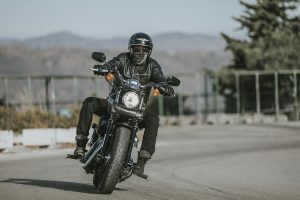 So if you find yourself out on Florida’s roads on a chopper, a cruiser, a touring bike, or any other kind of motorcycle, remember to stay safe out there and remember these tips so you don’t have to rely on drivers seeing motorcycles. Florida is an excellent place to see the sights on a Harley, Honda, BMW, or another type of motorcycle. It offers pristine conditions to hit the open road and let the wind whip through your hair. In fact, the state is home to many charitable events, parties, and other functions just for bike enthusiasts. For instance, on August 11, 2018, the Veteran Enforcers Motorcycle Association is hosting the "Riding for our Kids @ PAL of Jax" affair. It raises funds to create educational, athletic and leadership programs, which ensure children have positive alternatives for after-school activities. Motorcycle operators face various obstacles while riding the two-wheeler. Some models have windshields installed, but others don't, and a bug can come flying towards a driver at what seems like the speed of light. Helmets are essential pieces of safety equipment, but many units do not come equipped with visors. Taking a flying insect to the eye can cause drivers to lose control and crash. Debris or obstacles on the road are also hazardous. However, due to the sense of freedom that bikes provide, most riders are more than happy to take on these risks. Florida offers pristine conditions for riding and letting the wind whip through your hair. Many other drivers are on the roadways too though, and a leisurely ride could turn into a nightmare quickly. 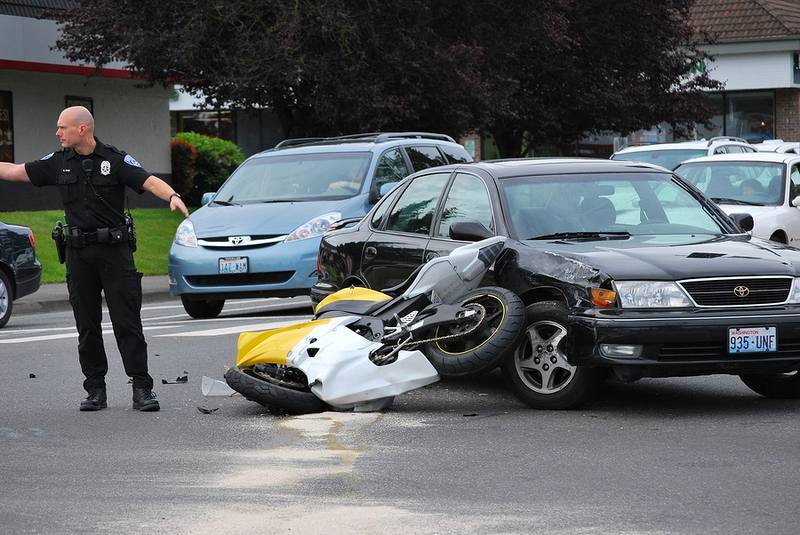 One of our specialities here at All Injuries Law Firm is motorcycle accidents. 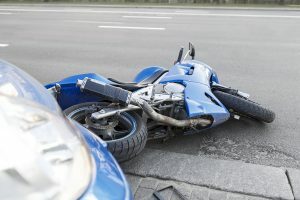 We’ve taken the time and effort to acquaint ourselves specifically with the details and nuances of motorcycle accidents because, unfortunately, there can often be very large, consistent differences between car accidents and motorcycle accidents. 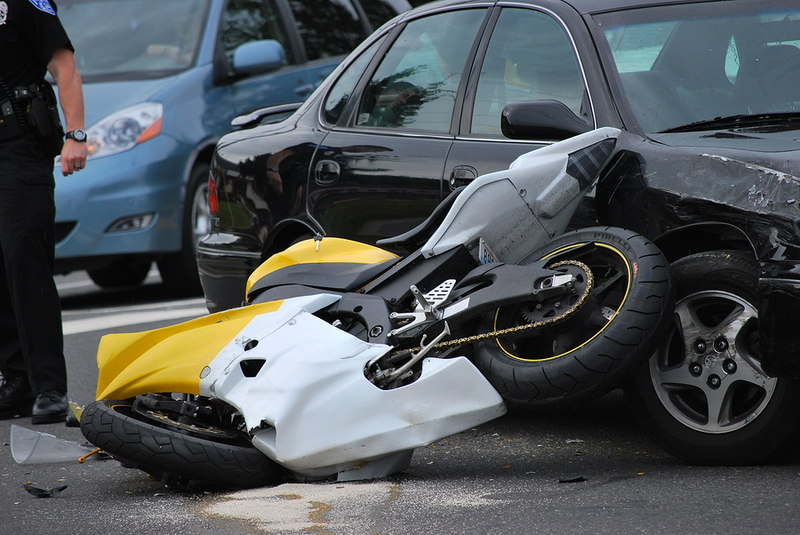 Motorcycle accidents, statistically speaking, tend to be worse and far more damaging. It’s no surprise that motorcycles are seen a lot on the roads of Southwest Florida. The sunshine state has great, warm weather all year round, which makes it possible for motorcyclists to enjoy riding their vehicles without having to store them away for the winter season as riders in the northern half of the country must do. 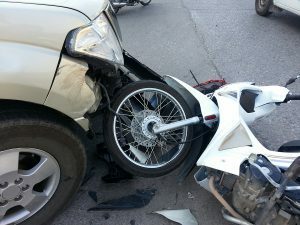 However, more motorcycles on the road also means more people at risk of getting into accidents. In addition, warm weather the year round also means a great frequency of storms and wet roads which can affect travel conditions. Florida's beautiful weather and stunning scenic beauty make it a perfect place to enjoy the open road. A ride on a motorcycle is one of the best ways to experience the thrill of the ride and the wind or sun on your face. However, sometimes things can simply go wrong. 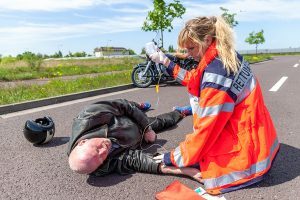 If you're injured in a motorcycle accident, you will face a serious recovery period that can take some time and energy to get through. 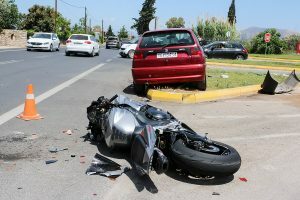 The more you understand about motorcycle accidents, your rights, and what options you have in terms of seeking financial compensation through a personal injury motorcycle accident case, the better you will be able to get the restitution you are owed. With that in mind, it's worth looking at the key points worth remembering in regards to a motorcycle accident and our injuries. Here are the top things you need to know. 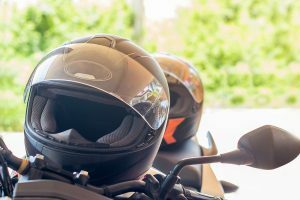 Head injuries are a serious injury for motorcycle riders. Head injuries such as traumatic brain injuries, concussions, and head wounds can quickly lead to a fatality. In fact, 22% of all motorcycle accidents lead to a head injury, one third of which prove to be fatal. However, helmets have been proven to be incredibly effective in reducing both head injuries and fatalities. In fact 67% of all head injuries can be avoided by wearing a helmet. So always wear a helmet when riding. 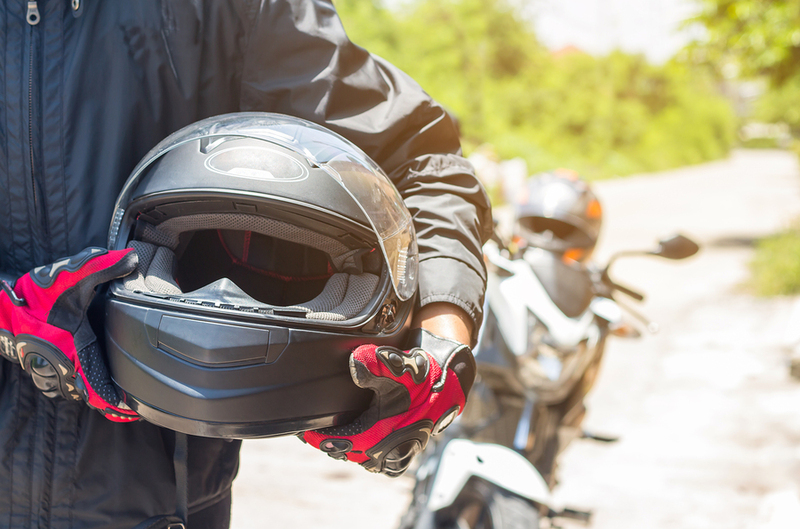 It is National Motorcycle Awareness Month and in honor of this important month, we have put together a list of great safety tips for both riders and drivers. This tips can help protect motorcycle riders and drivers from unnecessary accidents and promote awareness of the motorcyclists sharing our roads. 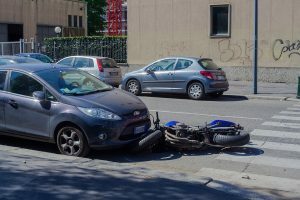 Motorcycle Awareness Month was an initiative first created by the National Highway Traffic Safety Administration (NHTSA) in response to an increasing number of motorcycle riders. The initiative was to promote education on safe riding practices and study the factors that lead to motorcycle accidents. National Motorcycle Awareness Month was officially recognized in Florida in 2012 by Governor Rick Scott and worked closely with the Motorcycle Safety Coalition to launch a number of successful public awareness initiatives including “Look Twice Save a Life,” “Drink+Ride=Lose,” and “Be Smart, Be Seen.” These programs have helped lead to 20% reduction in motorcycle accidents in the state of Florida. “Start seeing motorcycles.” That’s the advice you can find on any number of bumper stickers, usually on cars whose owner also rides a motorcycle. 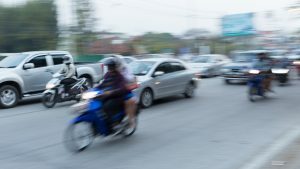 And this advice is not given lightly – riding a motorcycle carries many risks beyond those which any driver takes when he or she enters traffic. When you’re not the one on the motorcycle, the single biggest problem you’ll have with them is quite simply their visibility. Most cars, busses, trucks, and other road vehicles are designed to be wide enough to fit two to three people side-by-side, and so no matter how small a compact or sports car may be, you can be certain that they will take up a specific amount of the road. Motorcycles, however, are much smaller than any car, and that makes them harder to see around corners and in blind spots.